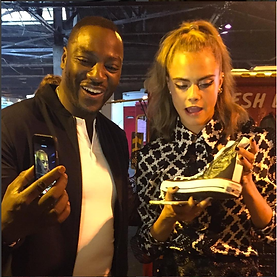 MYCUSTOMKICKS - CUSTOM SHOE PAINTER FOR THE BIGGEST CELEBS! 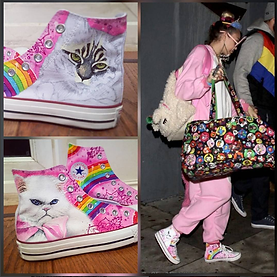 You might have seen my hand painted, custom Converse and Vans before, maybe on Instagram, Facebook, or being worn by celebs such as Miley Cyrus, Cara Delevingne, Adam Levine, Margot Robbie, Will Smith, Jared Leto etc... but now im giving an insight into what goes on behind the scenes with MYCUSTOMKICKS! By joining me on Patreon, you will have the chance to see how i work, my methods for hand painting shoes, different shoes that im currently working on (including celebrity specials) and also have the chance to win a pair of your own custom hightops on a monthly basis! Join me on the mycustomkicker! tier and be guaranteed a pair of your own EVERY year along with a 15% friends and family discount off ALL future orders. Direct access to ask me anything! Once this goal has been achieved, i will be able to offer a monthly giveaway of a pair of Mycustomkicks, personalised high tops to one lucky Patreon subscriber from the 2nd and 3rd EVERY month!!! Once this target is hit, i will start making more tutorial videos for anyone signed up to the 2nd or 3rd tiers. The third tier giveaway of a free pair of customs every 12 months will become active when my total patrons hits 150.